Sprint has announced they will be shutting down their IDEN network on 6/30/2013. IDEN is the Push to Talk (PTT) network that some government and public safety uses. Sprint has an upgrade path for those that still use IDEN. This network came to Sprint when they acquired Nextel and lives in the 800-900 mHz. Most likely, Sprint will use this frequency for a future 4G LTE expansion. SANTA CLARA, CA -- (Marketwire) -- 05/24/2012 -- NVIDIA today announced that the NVIDIA® Icera® 410 LTE multimode data modem chipset for tablets and clamshell devices has been tested and validated for operation on the AT&T 4G LTE network. AT&T qualification tests help ensure that product manufacturers can confidently select chipsets that integrate with connected devices and can quickly achieve final product qualification. "Validation with AT&T is an achievement that paves the way for NVIDIA Icera-powered LTE devices on the AT&T network through this year and next," said Stan Boland, senior vice president of Mobile Communications at NVIDIA. The NVIDIA Icera 410 LTE modem delivers lightning-fast web browsing, video streaming and multiplayer gaming to tablets and clamshell devices. It is the first Icera modem to implement 4G LTE in NVIDIA's software defined radio baseband processor. Together with its multimode radio transceiver, the chipset offers 4G LTE at category 2 data rates (up to 50 Mbps) as well as 4G HSPA+, 3G and 2G compatibility. The 6" Booster Antenna has been one of 3Gstore's top-selling items year after year (in fact, it was the product that "started it all" for 3Gstore - the very first item we stocked seven years ago! ), and for good reason: it's affordable, compact, portable, and it works very well at improving signal in fringe areas. We recently did some tests, and we confirmed that despite the fact that the manufacturer's specs list the supported frequencies as starting at 800mhz, the Booster Antenna does indeed work for both Verizon and AT&T! We then confirmed with the manufacturer, who also confirmed that there was indeed gain on the 700mhz frequency; they had just never had any reason to test or confirm its effectiveness on that band before LTE devices came into existence in the USA! According to research from Strategy Analytics mobile broadband is now averaging speeds over 14Mbps. The growth is rapid and download speeds have been recording record quarter-on-quarter increase introduced in 2009. The results are taken from several countries that have upgraded to 3.5G (HSPA/HSPA+) networks and 4G LTE networks by Verizon and AT&T. As these speeds increase they believe that average data allowances should exceed 10GB per month by the end of the year, while average download speeds will exceed 20Mbps. The wait is almost over! Firmware 5.4 is online and ready to take the Balance to the next level of performance, compatibility, and flexibility. Featuring our leading SpeedFusion™ technology, plus advances like domain-based rules, HTTP health checks, the Balance Firmware 5.4 update is one of the most important releases ever. Firmware 5.4 will be publicly released on May 22 (next Tue). SpeedFusion - SpeedFusion bonds the bandwidth of up to 13 links from various service providers into a single fat datapipe. With SpeedFusion, your clients get the fastest, most flexible, and most reliable VPNs yet. Video bonding - Supercharge the speed and quality of video delivery and other streaming applications with our new patent-pending video bonding technology. Outbound Traffic by Domain Name - Outbound Traffic by Domain Name makes it easy to route outbound corporate website traffic to faster Internet links, while redirecting leisure traffic to slower, less expensive links. Just specify desired domain names and outbound traffic routes accordingly. Command line interface (CLI) support - Now you can control your Peplink devices from the command line. Our new CLI interface displays device information via text interface and customized applications. Congrats to Hugh C. of Honolulu, Hawaii who just won a $25.00 Restaurant.com gift code for writing a review for 9.5" Full Band Outdoor Omni 3G/4G Antenna (Adapter Cable Sold Separately) at 3Gstore.com! Every week we randomly pick one product review from the previous week and award the writer a $25.00 gift code. We appreciate ALL the reviews our customers write, whether they are positive or negative - honest reviews like Hugh C.\'s help other customers decide if the product is right for them. After you purchase a product from 3Gstore.com, we encourage you to log in and 3Gstore.com and leave a review letting people know how the product worked for you - you'll be helping others, and you'll automatically be entered to win a restaurant.com gift code!. The video above demonstrates how easy it is to setup a NAS (Network Attached Storage) device to your CloudCam. If you need to record events at your business or want to keep an eye on a second property, this is an easy way to record everything that is going on. You'll be able to easily setup scheduled recordings, by motion detection or 24/7 recording so you don't miss anything! CloudCam's are becoming more and more popular as word gets out about how easy they are to setup. Simply input the camera ID and password and you can easily view your CloudCam on a computer, Android or iOS device. Having a simple to set up IP camera doesn't mean you miss out on more advanced features! There have been stories of employers requiring FaceBook passwords during job interviews so that the employer can see what you do with your life. Apparently, there are companies that do the same thing with their current employees. Apparently, our government is creating a Password Protection Act Of 2012 to protect individuals. It is really too bad that it has come to this. If I was asked for my FaceBook Password (or Linkedin or Email password) during a job interview, I would immediately walk out and assume this isn’t the place for me. However, in today’s economy, people are lowering their standards because they have to pay for basic necessities. So, giving up that password seems like a little, but it really is a lot and it is completely wrong. What’s next? I think it is completely wrong for employers to ask prospective or current employees for their personal login information for any site. If the site is a company owned one (Blog, Email, etc. ), well the company controls that and they are the one creating the username and password. Different story. So, it is too bad that there are some employers out there that are really taking advantage of people who are desperate for a job. A word of caution to individuals, think before you post that picture or comment on some social media website. Even though you may think you can delete it later - it is probably stored/cached somewhere and it could come back to haunt you personally or professionally. Are you new to mobile broadband and thinking about using 4G WiMAX service from Sprint, CLEAR, Time Warner, Comcast, Virgin Mobile, or NetZero? If you answered ‘Yes’ then this article is for you! Sprint and CLEAR operate a 4G network using WiMAX technology, and recently Virgin Mobile and NetZero have begun reselling the service, too. If you watch commercials, you’ve probably also seen Verizon and AT&T running ads for 4G LTE service. It is important to understand the difference between WiMAX and LTE. Both are 4G technologies, but they are NOT equal! LTE is much, much faster than WiMAX (3-4x faster), and, more importantly, WiMAX is on its way out. Sprint and CLEAR are currently the only U.S. providers that use WiMAX (they use the same network; Sprint owns 50% of CLEAR), and they only have service in 60 cities - and they will NOT be expanding coverage any further. In fact, Sprint is abandoning WiMAX completely and working on deploying an LTE network in the near future! Pre-paid resellers like Virgin Mobile and NetZero are now offering prepaid 4G on Sprint's WiMAX network. This is a BAD IDEA for customers. Virgin Mobile and NetZero are taking advantage of customers who are eager for 4G service but don’t understand the difference between WiMAX and LTE. Since WiMAX is barely available anywhere, isn't nearly as fast as LTE, and coverage will never be expanding, it is pointless to spend money on such service! Instead of wasting money on WiMAX devices and service, we strongly recommend going with 4G LTE service, like Verizon offers. There isn’t an LTE option available on a pre-paid basis right now (like what NetZero is offering for pre-paid WiMAX), but there is a reliable pre-paid 3G option from Datajack available (while it’s not 4G, at least you’ll have nationwide coverage, unlike NetZero/Virgin’s WiMAX option). The bottom line is to BE AWARE of what you’re buying: not all 4G is equal! OVERLAND PARK, Kan. & VANCOUVER, British Columbia (BUSINESS WIRE), May 09, 2012 - Sprint (NYSE: S) and Sierra Wireless (NASDAQ: SWIR) (TSX: SW) today announced the May 18 availability of the first-ever device to combine 4G connections over LTE and WiMAX networks, Sierra Wireless™ 4G LTE Tri-Fi Hotspot for the Sprint network. Sierra Wireless Tri-Fi Hotspot provides the best combination of speed and coverage to Sprint customers as the upcoming 4G LTE network expands and allows families, small businesses and traveling co-workers to easily share high-speed connections. Beginning May 18, customers will be able to purchase a Sierra Wireless Tri-Fi Hotspot for $99.99 (excluding taxes) after a $50 mail-in-rebate with a two-year service agreement. Provides a strong, reliable signal on the Verizon Wireless 4G LTE band...even in weak signal areas. Shortly after CTIA began they're already talking about LTE-Advanced testing, which is defined as the next step from 4G LTE. To qualify as LTE-Advanced mobile networks must be capable of 100Mbit/s downlink speeds in mobile environments and 1Gbit/s for stationary downloads. Nigel Wright, VP of wireless marketing for Spirent, says "We expect to be working with several chipset vendors later this year, first on our solutions and then on some significant changes that come from carrier aggregation," Wright says. "If you're talking to two or three different cells, which is the primary one? Which one do you do measurements on? We'll have new scenarios there to reflect that." "The infrastructure part is not so difficult," adds Mike Barrick, business development manager for Anritsu's wireless portfolio. "Building carrier aggregation into chipsets and devices is much more difficult." Qualcomm is current the only vendor that will support carrier aggregation on the Gobi platform, which will start sampling towards the end of the year. When the technology rolls out we should start seeing LTE-A devices debuting around 2014, so you'll have plenty of time to enjoy your 4G LTE devices before LTE takes another giant leap. Apple has released iOS 5.1.1 today. 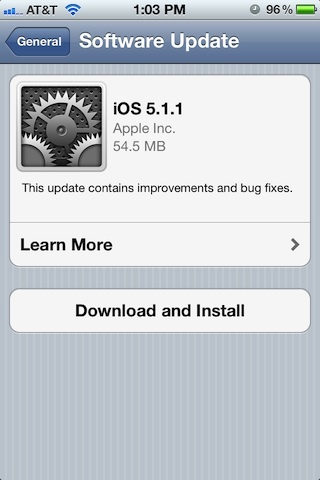 This is a bug fix release and everyone running 5.1 is encouraged to upgrade. 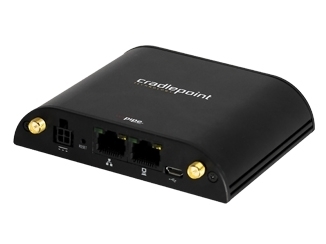 Peplink Balance routers are enterprise grade solutions covering everything from home users to large corporations. 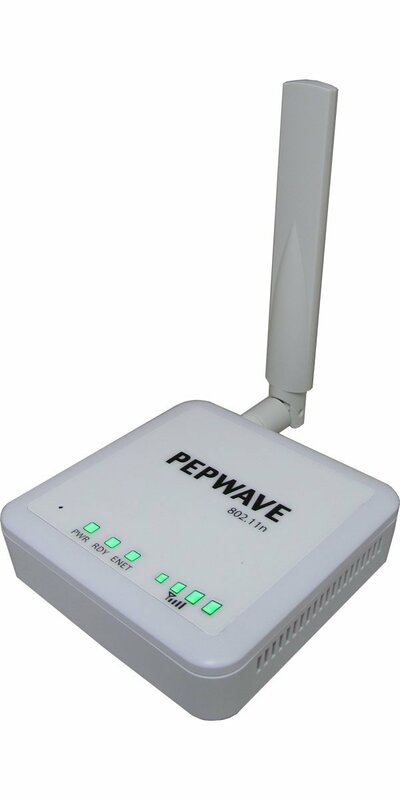 Peplink Balance routers can support up to 13 WAN connections for unparalleled reliability and 24/7 run-time, which is key if losing Internet connectivity costs your company time and money. Managing each link on the network is simplified by Peplink's easy to use outbound policy management and multiple load balance algorithms. Below you'll find some Peplink Balance key features that will allow you to gain complete control over your network network environment. 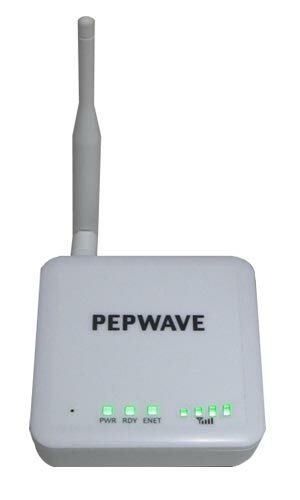 Continue Reading - Why Peplink or Pepwave? Good News! We are in the process of having an extended battery for MiFi 4620L manufactured and we should have it available the first part of June 2012. The MiFi 4620L Extended battery will be a whopping 5000mAH. The 4620L uses the same battery as the 4510L, HOWEVER, the battery door is completely different. Be sure to read the 4510L Extended battery reviews, to get an idea of what existing customers think of the extended battery. Be sure to signup to be notified when this is ready for order, we will allow pre-orders around 2 weeks before we get them in stock. Congrats to Mark C. of Overland Park, Kansas who just won a $25.00 Restaurant.com gift code for writing a review for [800/1900mhz] Cellphone-Mate Dual Band Direct Connect 2G/3G Amplifier w/ Mag Mount Antenna - CM2000-19-RG at 3Gstore.com! Every week we randomly pick one product review from the previous week and award the writer a $25.00 gift code. We appreciate ALL the reviews our customers write, whether they are positive or negative - honest reviews like Mark C.\'s help other customers decide if the product is right for them. After you purchase a product from 3Gstore.com, we encourage you to log in and 3Gstore.com and leave a review letting people know how the product worked for you - you'll be helping others, and you'll automatically be entered to win a restaurant.com gift code!. Tekkeon has just released an updated version of the popular MP3450i: the 3rd revision, MP3450i R3. 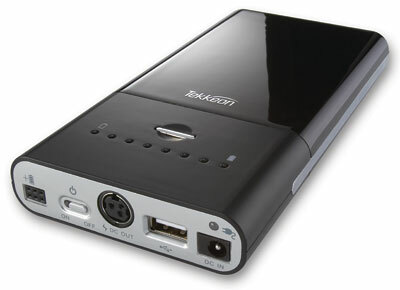 The previous R2 version added a USB port for charging/powering USB devices such as iPads, phones, MP3 players, and much more. Now, instead of a lithium polymer battery, the R3 uses a more stable lithium ion battery. 3Gstore is ONLY stocking this latest and greatest version of the battery pack (and at the same price as the R2: $189.95), so beware of other companies selling the MP3450i because you may be getting the older R2 or even the original version! Do you ever think about what you have saved on your phone? Not only contacts, pictures, and videos, but personal information. Your email account, your Facebook/Twitter login, etc. What happens if you lose your phone, or if it dies and it needs to be replaced, or even if there’s an issue and you need to hand it over to a technician. Do you know who you’re giving it to? Who you’re trusting with your sensitive information? Neither did one man in Aurora, CO. He was experiencing issues with his phone and took it to a local Best Buy to have someone look at it. After determining the phone needed to be replaced, the man left his old phone with Best Buy. No more than 30 minutes later, the man was alerted to a status update on his Facebook page that said, “I am gay. I’m coming out.” He came to find out that it was a Best Buy employee who had written the post. Of course the man filed a complaint and the employee was fired, but not before the man’s reputation was fractured. It just goes to show you that no one can be trusted, and you better think twice about what you’d be putting out into the world before letting that phone go! We are big believers in Cloud Computing — 100% of our own infrastructure in the cloud. In our first office, we learned that reliable and fast internet connectivity is absolutely crucial. When all your infrastructure is in the cloud, all work grinds to a screeching halt whenever connectivity is lost. In that office, we had a single, “business class” symmetric 10MBit link. In short, it sucked. Going to CTIA and your company has products (Routers, Antennas, Amplifiers, 3G/4G Services, WiFi) that you would like sold directly to end users and through our new B2B/VAR Portal? 3Gstore has a proven track record of success and we can help your company, product or brand succeed. We only sell and support the best, so if that is what you have, lets talk at CTIA. That is quite an interesting statement seeing as how you would have absolutely NO data service without a signal. When it comes to cellular data service, you need to look at 2 things mainly - Signal and Upload/Download Speeds. Sometimes you can have a decent speeds, but your signal strength is poor so you constantly may drop that connection. It works both ways - you could have great signal, but your speeds may be horrible. So, when you hear that signal strength only plays a small part, take a closer look at all the variables in play. Location and environment can also play a part - obstructions around the location blocking signal (weather can do this as well), electronics in the environment can interfere with the cellular and WiFi frequencies inside your home/office too. This is why when it comes to finding an antenna and/or amplifier for a fixed location, we at 3Gstore recommend doing a site survey at the location. Not only do we have you look at signal strength in terms of RSSI (Received Signal Strength Indicator) instead of signal bars, but your speed tests as well. In addition, we ask what obstructions may be in the area such as trees, buildings, or higher elevation. These are ALL things that contribute to the quality of your data service.